It’s my favorite place in the entire world. But more than a place, I think of it as a state of being. 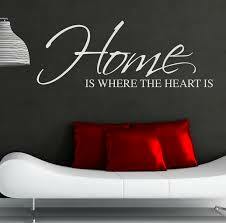 Home is where I am when I have my kids and grandkids with me, whether it’s at my house or elsewhere. Home is where I am when I’m on a nature walk, feeling complete serenity and peace, at one with mother nature, drinking in the sights and fragrance of the woodsy fullness around me. Home is where I am when I’m having my quiet time with God every morning in the silence of my study, lamplight and candlelight, before the rest of the house is stirring, and when I’m lying in the stillness at night, just before I drift off to sleep, giving Him thanks for the day He gave me. Home is where I’m going to be with my Savior one day. Home is where I am when I’m snuggled next to my husband watching a movie or each in our own chair, yet together, enjoying a good book. Home is where I am when I’m outdoors, the sun’s warmth on my shoulders warming through and through, or snuggled under a blanket with a cup of hot tea and a good book listening to the raindrops pepper the roof. Home is where I am when I’m alone in the quiet of the evening, knowing everyone is tucked in their beds, and believing God has each in the palm of His hand. And Home is where I am when I’m writing, whether the words are flowing or whether I’m simply sitting and pondering a thought, story idea, character sketch…writing is where I find solace, comfort, and sense of security, as insecure as I can be in my writing. The words themselves, are balm to the scrapes and bruised accumulated throughout the day.